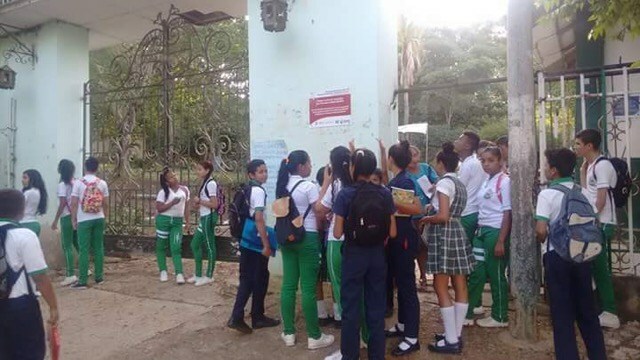 Last week, the parents of hundreds of girls experiencing new medical conditions after Gardasil administration blocked classes in educational institutions by padlocking the entrances to local schools. These families claim hundreds of affected girls have been left without treatment for two years while the government refuses to acknowledge the HPV vaccine could be causing serious side effects. They were asking to be heard by national, departmental and municipal health authorities. After a four day stand-off, government authorities decided to convene a working group to try and address the problem. The Governor of Bolivar, Mr. Dumek Turbay, organized a face-to-face meeting with representatives from the affected families, President of the Association Reconstruyendo Esperanza (Rebuilding Hope), Monica Leon Del Rio acting as the families’ spokesperson and the Colombian Minister of Health, Alejandro Gaviria, in the city of Cartagena de Indias (Colombia). Governor Dumek Turbay promised parents and students they could attend a meeting with the Minister to review the implementation of commitments previously made by the Government with the young people affected, including comprehensive and specialized medical treatment. The world will be watching to see if the Colombian government lives up to their promises to the hundreds of families Attorney Monica Leon Del Rio is representing in their battle to obtain adequate medical treatment.